Soo.. Here are some things you must remember with polyarteritis nodosa. Mnemonic: PAN - Pulmonary Arteries Not involved. PS: Bronchial vessels can be involved. It is associated with hepatitis B. It is important to test for active hepatitis B before starting treatment because treatment involves immunosuppression. It usually presents with vague symptoms like myalgias, arthralgias, abdominal pain, fatigue. Renal involvement manifests as hypertension, renal insufficiency. Peripheral neuropathy, rash, purpura, CHF, CVA, etc are other manifestations of the disease. 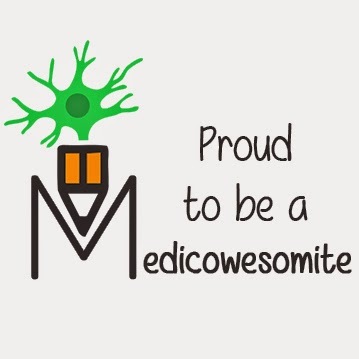 This mnemonic was submitted by Kumar. Thanks mate! PANmural: Transmural inflammation of the arterial wall. PANpable: Palpable purpura is seen in PAN. 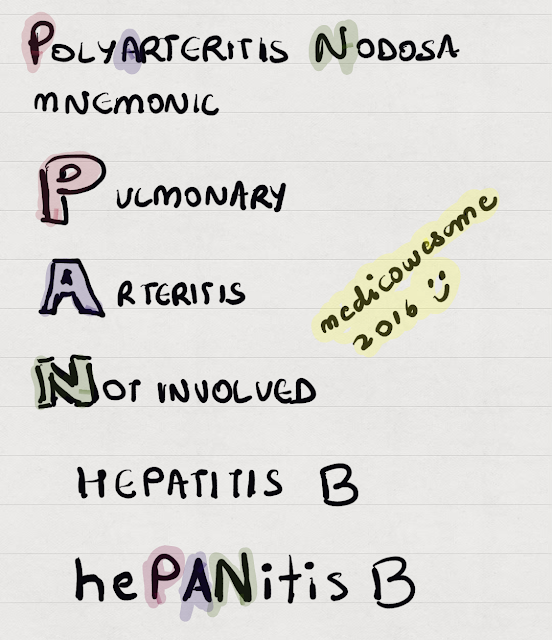 PAN --> PANmural = Transmural inflammation of the arterial wall. Hahahahhaa you're so PANny, Kumar!